There was a time when Amazon was just the place you would buy DVD and Blu-rays, purchase music albums, and maybe some new batches of video games. But now, not only does Amazon sell all of those things, it's actually in the business of producing all of them, too. Over the last five years, Amazon has expanded from just being an online marketplace to a producer and creator of original film, television, and, most importantly, games. So how's the one-time book seller going to rival the likes of Microsoft, Sony and Nintendo? The answers, according to Vice President of Amazon Games Mike Frazzini, are Twitch and its new game engine, Lumberyard. At GDC 2017, we spoke with Frazzini about the new name in game publishing where he elaborated on the recent expansions into AAA games, the Lumberyard games engine, and how the Twitch acquisition has paid several fold. "It's been fun to see our growth,” said the Vice President of Amazon Game Studios. “So much of it is execution, and time, and then to come to GDC and see things come together like this, and to get feedback from our customers has been extremely fun." GDC, as it turned out, served as a great example of this growth: Amazon’s booth expanded immensely in the last few years at the show from a small little cube on the sides to one of the show's main attractions. In its booth space this year was Twitch, Lumberyard, and their first true AA title, Breakaway, an online brawler with MOBA aesthetics. As the VP of Amazon Game Studios explains, the company spent years listening to player feedback during the creation of these titles, while also making sure that the Twitch community continues to thrive. With many of their upcoming games designed around Twitch integration, Amazon Games Studios sees it as being the new thing, much in the way radio and television were the new thing when they were released. An entire of generation of people are growing up with and sticking with online entertainment, and the developers behind the next wave of games from Amazon Game Studios plan to utilize Twitch completely. "It's always about us learning what the customers want, what are they seeing, yeah, Twitch is spectacular. It's become a daily part of daily lives. When we bought Twitch, we gave a lot of interviews about it, and we got asked often 'why are you buying Twitch? '," Frazzini said. It's an investment decision that Frazzini said has paid back several fold, leading to the studio's first big title, Breakaway. Breakaway, for those who missed its announcement back towards the end of last year, is an online brawler that feels like a mash up of MOBA style gameplay with basketball. The game is being developed by Amazon Game Studios Orange County, formerly known as Double Helix Games the same team behind Killer Instinct, who were acquired by Amazon to help spearhead the development of more ambitious titles for Amazon. And while Breakaway the title Amazon has hung its hat on, it’s not the only one in development by the e-commerce giant: there’s a class-based multiplayer action game called Crucible, and New World, a MMO Role-Playing Game set in a fantasy version of a newly colonized North America, with John Smedley of EverQuest fame heading development of it. While these games are different genres, the one core feature connecting them is the built-in integration of Twitch streaming thanks to the integration of Amazon’s game engine, Lumberyard. “The other interesting thing [about Lumberyard] is the cloud, it's got ridiculous amounts of computing and storage capabilities, and when you think about designing games that embrace the cloud and deeply embrace the importance of community, you want to have a tremendous ability for designers and artists to draw from those resources. So for us, it was really easy to make those games, and be successful when it comes to making them. Being in engine, and doing it all natively, it's the absolute best way to deliver ease of use." With Twitch's popularity exploding in recent years, Amazon views integration into its games as a no-brainer. With this in mind, they designed these particular to play well with their audience, focusing on fast and frenetic gameplay, and also be fun enough to watch others play on their own. "Twitch has really affected our business. It's really given us a lot to think about and innovate on." “Another thing is the inclusion of Twitch Prime, that was a major innovation. Amazon Prime was a spectacular value, and to add gamer benefits to it, to allow broadcasters more benefits it was very smart. So Twitch Prime is a way to give consumers a credit to give streamers, at no additional cost. Those are a couple examples of how Twitch has really affected our business, it's really given us a lot to think about and innovate on." 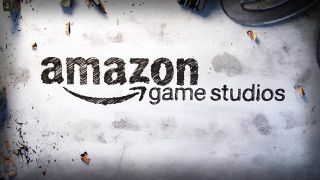 Amazon Game Studios certainly has a lot planned out for the future, and it's got the games to back it up. Breakaway was a fun, raucous time to play, and their next titles sound like they offer something a bit different, yet has enough for players to sink their teeth into. Whether any of it will be enough to carve out a place as a major publisher alongside companies like EA, Activision and 2K, however, remains to be seen.